Simple things that bring us luxury and joy are conveyed in this theme. We seek a sense of safety and security as the digital world continues to overwhelm us. Longing for human touch as an antidote to the remoteness of digital communication, we snuggle up in over-sized layers that provide luxurious reassurance. Faux furs, plush piles and soft knits are delicately embellished with small crystals. A strong focus on the zip becoming the fashion fastener of choice as the sportswear trend continues to gain momentum for both tailoring and casual wear. (please contact us for Swarovski Crystal zipper information). 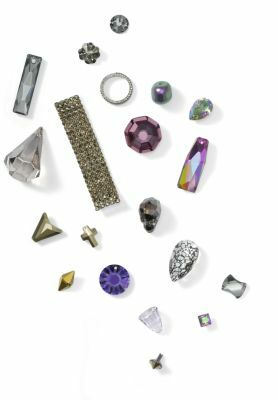 The Swarovski Romantic Color Inspiration seduces the senses by inviting you to play with luxurious combinations that move from saturated, more hardy tones found in nature to softer and more playful ethereal hues. Orange tones such as Tangerine and Topaz begin on the left and blend well with all of the natural tones such as Crystal Copper, Crystal Chili Pepper, Crystal Bronze Shade, Smoked Topaz, Light Smoked Topaz, Bronze Pearl, and Crystal Golden Shadow transition nicely with Vintage Rose into Light Rose and Rose. 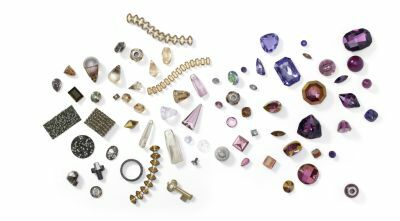 The new Smoky Mauve color is soft purple tone with hints of a crystal-light grey mixture, making it an ideal hue to progress into clear Crystal or Crystal Silver Shade, Black Diamond, Grey Pearls and Crystal Silver Night. Vibrant Tangerine introduces a strong focal point, offering warmth and radiance to a reduced color palette underpinned by the subtle refinement of Smokey Mauve. The contrasting effects of matt and shine are married together. 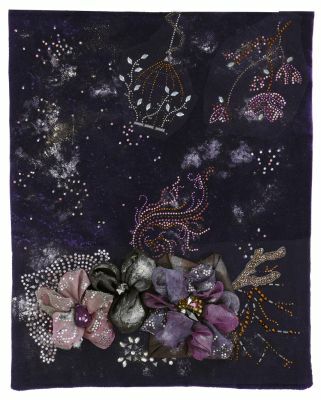 Crystals in smaller sizes offer delicate appeal for an instant ‘touch me’ effect. 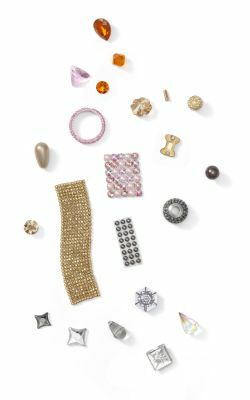 Jewelry is smooth, sensuous and soft-edged, with crystals set closely together to form a fluid entity. This gorgeous Swarovski Crystal beaded necklace incorporates a stunning blend of vibrant colors that work very well together, such as Rose, Fuchsia, Fireopal, Colorado Topaz, Amethyst, Chili Pepper AB and Crystal Volcano. 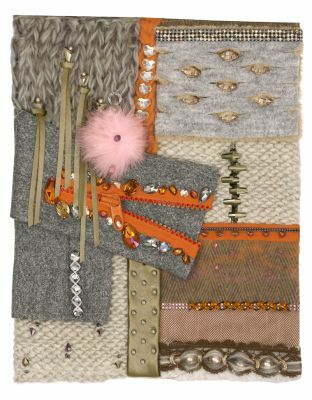 Similar energetic color combinations include Crystal Astral Pink with Tangerine, which is quite exceptional and try incorporating Crystal Copper with these hues because it adds a beautiful transition between the orange family tones and the natural darker or lighter brown hues such as Smoked Topaz, Colorado Topaz, Light Colorado Topaz and Crystal Golden Shadow. Crystal adds a delicate touch in sparkling formations, snuggling into over-sized weaves cushioning the body in a sober yet powerful mood, referencing stay-at-home comfort. 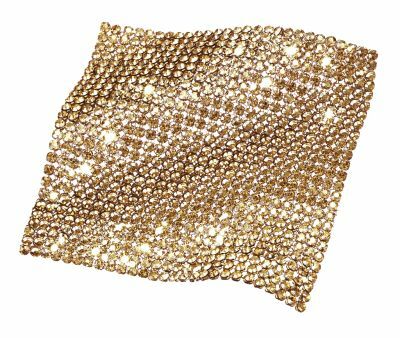 Lavish lightweight textiles are trimmed with Swarovski’s Crystal Fine Mesh, which is a fabulous product that can be utilized in all kinds of beautiful and creative ways from textiles to jewelry. 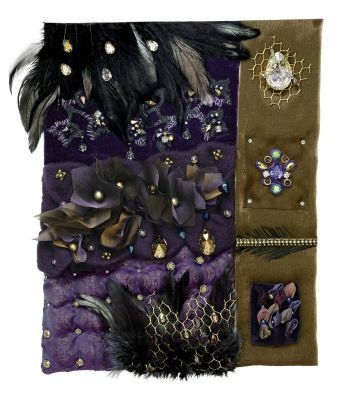 Crystal Mesh and Fine Mesh is an artists’ dream come true! The dramatic sparkle of crystals clustered together is stunning and the ability for movement provides for graceful designs. It is also very user friendly, coming in large rolls, you are able to easily cut it into any dimension or shape you can dream of. Subtle radiance and a sense of seductive touch and warmth are conveyed through intertwining, interlinking Crystal Transfer Designs that set out to sooth the soul. Organic lines are created in natural, luxurious textiles like silk, wood, and precious metals. 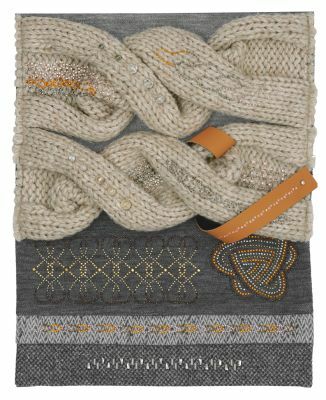 Lightweight materials and fibers are woven, tangled, and knitted into a cozy chaos.